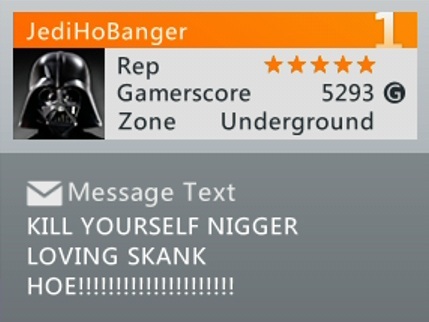 Seeing JediHoBanger‘s picture combined with his Gamertag gives me a whole new perspective on The Holy Trilogy. Check out our friends at Star Wars Anyone? (Twitter) for your regular dose of Star Wars-related awesome. Xl BootyClap lX has some great ideas for what to do when dating people from the internet. 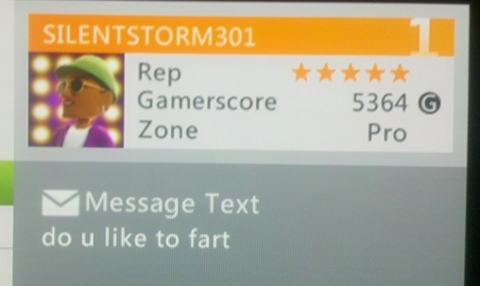 I don’t even wanna know what SILENTSTORM301 has in mind if the recipient responds in the affirmative. KirkAlert911 is looking to get a group of like-minded folks together for a small gathering. A teabag party, if you will. 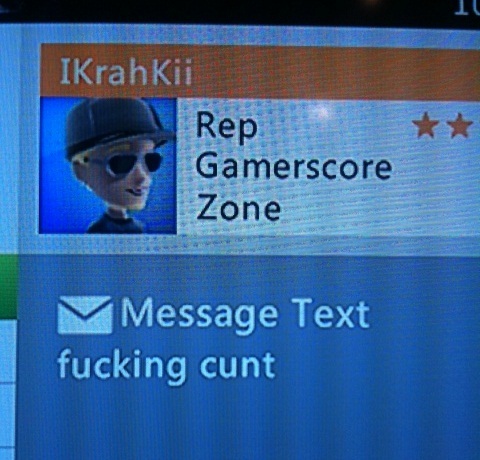 I was playing Grifball with some friends, and after we beat his team 3 to 1, I get this lovely message. 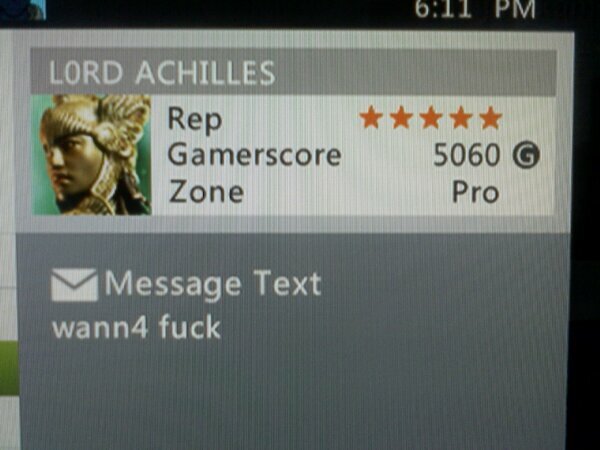 And he apparently created a custom Reach map named “CMEN’S ROAD”. Very clever. 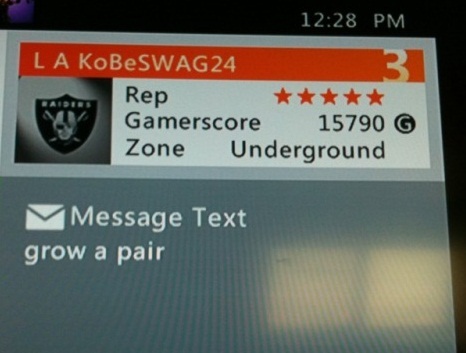 L A KoBeSWAG24, L0RD ACHILLES, IKrahKii and Rezetro all strike me as people of few words.